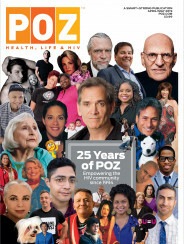 In the HIV community, we cannot mark milestones, such as the 25th anniversary of POZ, without contemplating those lost along the way. We spoke with John Cunningham, executive director of the National AIDS Memorial, for an update on the Grove in Golden Gate Park and the memorial’s various programs. What was the memorial’s genesis? The idea was born in 1988, in the darkest days of the epidemic. The de Laveaga family had bequeathed several hundred acres to the city [of San Francisco], and this dell—about 10 acres—was part of it. It had fallen into disrepair. In 1991, the city officially recognized and entered into a memorandum of understanding with the yet-to-be-formed organization, and the restoration process was under way. As I like to say, the individuals not only transformed the landscape, they transformed each other’s lives by gathering together. The memorial, at its core, is about healing through remembrance. Our fearless leader Nancy Pelosi (now Speaker Pelosi), who ran for Congress on an AIDS platform, saw the power in this space and thought it needed to be shared with the nation, so she wrote a bill for Congress in 1996 [that designated this as a national memorial], and it was signed into law by President Clinton. She was smart and strategic enough that we are technically under the umbrella of the Department of the Interior but we operate independently. She [did not want us to be relying on] federal monies because then they’d control what you do. The Grove never wanted to compete with our sister agencies doing direct AIDS services. We’ve never taken public money. We’ve never sought grants from the state, but we have received one that was given to us for a feature dedicated to women and children. A focal point in the Grove is the Circle of Friends, with over 2,500 names etched in a flagstone floor. In recent years, you added the Hemophilia Memorial Circle, dedicated to a group severely affected by the virus, and just last winter you unveiled the Artists Portal, honoring the creative people and art we’ve lost. How did the Artists Portal come about? The San Francisco Gay Men’s Chorus had always wanted to find a way to memorialize [the large number of its members lost to the epidemic]. They began this project and it grew to include other choruses, gay bands and other performing arts groups. They all came together to help fund this space dedicated to the artists we’ve lost. We lost their art too. There’s a beautifully designed, custom Emperor chime that is at the Artists Portal. You speak the name of a lost loved one and then ring the chime. It’s powerful. It happened on the heels of the Hemophilia Memorial. They chorus saw what was possible, and we joined together and collaborated. It’s been incredibly powerful for them and us. What was the genesis of the Hemophilia Memorial? I came here about 10 years ago, and at our first World AIDS Day event I realized we were not connecting to future generations as well as. I asked myself, What is the responsibility of a national memorial? We’ve all said for a long time that this is not a gay disease, but the gay community wants to own it. I [began to question,] What other populations and communities have been impacted and infected? So I started working with Jeanne White [the mother of Ryan White, who had hemophilia and became an activist after contracting HIV via a blood transfusion; he died at age 18 in 1990]. Jeanne White turned into a mother figure for me. She really wanted to see how the hemophilia community could finally realize the dream of having a memorial to honor the tragedy that befell that population. In that process, also, helped bridging the chasm created between gay community and hemophilia community [in the early days of the epidemic]. We connected with national organizations, and at end of day, they call came together, and we created something incredibly empowering and healing for that. Do you still add names throughout the memorial? Yes. Keep in mind that the memorial is created in the middle of what it is memorializing. In advance of World AIDS Day [December 1], the new names are formally dedicated and read, about 200 to 400 a year. And it’s about 50 percent local [names] and 50 percent national. We also memorialize and empower those who survived. Elton John is right next to Ryan White because the two were so close. The physical grove is just one part of the national memorial. Tell us about some of the other programs. For the Pedro Zamora Young Leaders Scholarships, we give away about $60,000 a year. The Light in the Grove [fundraising event] takes place on the eve of World AIDS Day, with candlelight and performances. And we are [in the planning stages of] the Center for Social Conscience. We take seriously the responsibility to tell the story not only of what happened but also how the power of community and individual activism and compassion and social engagement can improve the fabric of society. As Nancy says, when the last life is lost and when AIDS organizations have moved on to do other things, we will be the only organization left standing that will be forever telling this story. 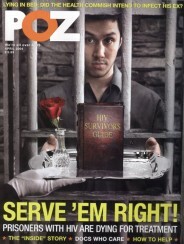 In related news, read “Legacies of Loss” to learn about local AIDS memorials, and check out the POZ interview with Tim Seelig, DMA, the artistic director and conductor of the San Francisco Gay Men’s Chorus, here. For more about the friendship between Elton John and Ryan White, click here.